UPDATED: Wed., Feb. 7, 2018, 7:39 p.m.
NEW YORK – Eleven Democratic state attorneys general on Tuesday sued President Donald Trump’s administration over its decision to delay implementation of an Obama-era rule that would have expanded the number of wetlands and small waterways protected by the Clean Water Act. 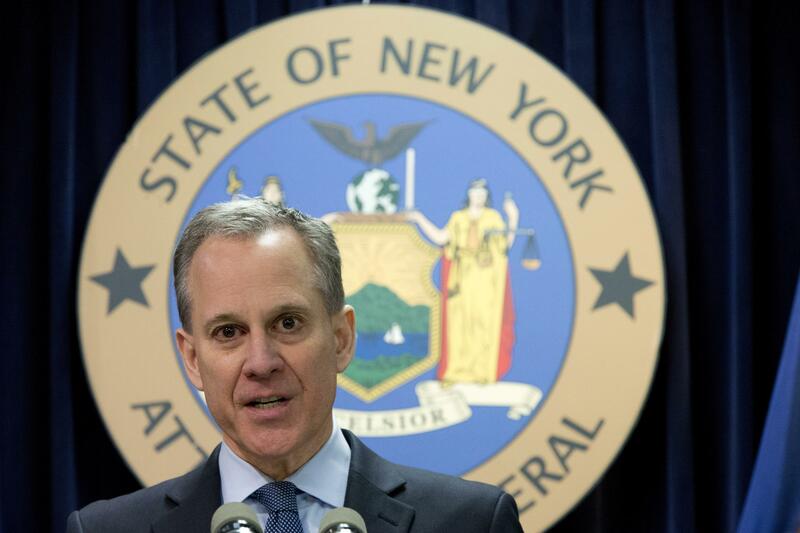 New York Attorney General Eric Schneiderman said last week’s decision by the Republican administration to postpone implementation of the 2015 Clean Water Rule for two years is an assault on public health. “We will fight back against this reckless rollback and the Trump administration’s continued assault on our nation’s core public health and environmental protections,” Schneiderman said in a statement. Environmental Protection Agency Administrator Scott Pruitt has called the rule an overreach that could hurt farmers and ranchers. Mining and industry groups also opposed it. The lawsuit was filed in New York by Schneiderman and his counterparts in California, Connecticut, Maryland, Massachusetts, New Jersey, Oregon, Rhode Island, Vermont, Washington and the District of Columbia. It seeks to stop the government from blocking implementation of the rule while considering alternatives. The regulation was put on hold for the past two years by various court challenges that kept it from taking effect. Schneiderman said the delay jeopardizes protections for streams that help provide drinking water to more than half of New York state residents and more than 100 million other Americans. The attorneys general accuse the EPA and the U.S. Army Corps of Engineers of violating federal law. They claim the EPA does not have the authority to hold off on a regulation that “rests on a massive factual record,” according to the suit. Public outreach in past years elicited more than 1 million comments, and was based on scientific studies demonstrating how waters are connected by tributaries, streams and wetlands, the attorneys general said. Published: Feb. 7, 2018, 10:58 a.m. Updated: Feb. 7, 2018, 7:39 p.m.